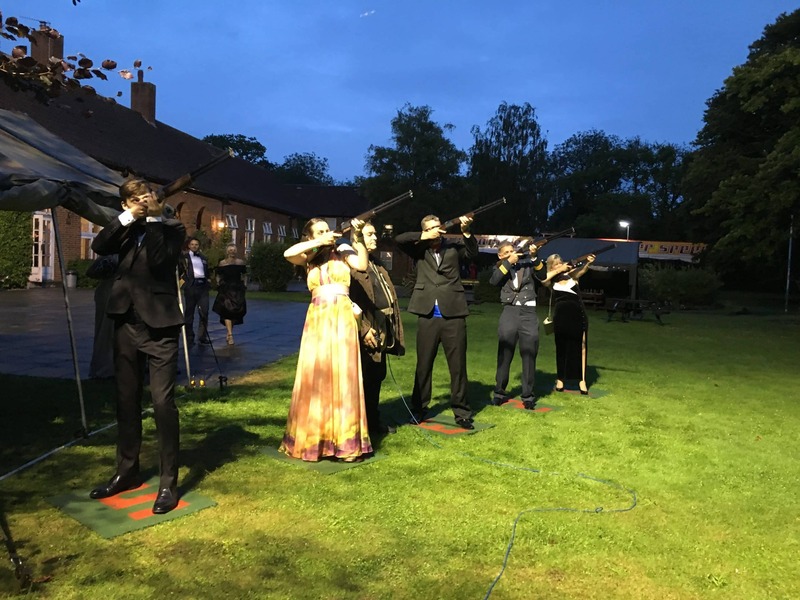 If you are planning an Evening Ball or a having a Summer Evening Party and would like the party to continue outdoors, then we have the equipment for you. 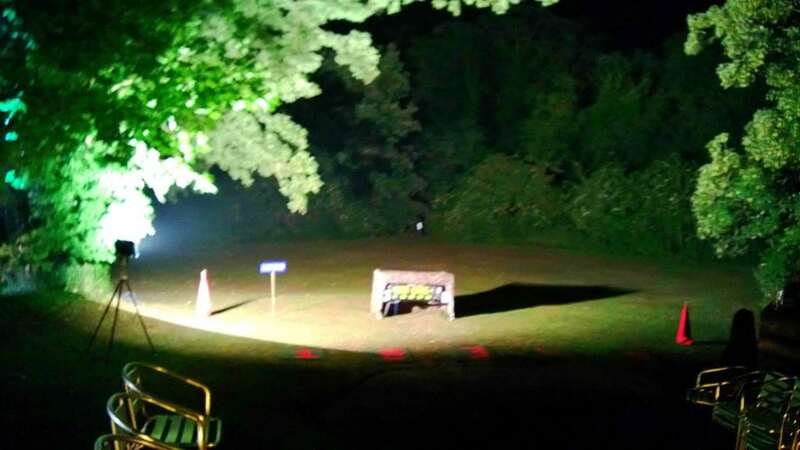 Fully floodlit to make the area safe, it is also cordoned off with red flags to indicate shooting is taking place, our Floodlit Laser Clay Shooting is a brilliant activity for Army Balls, Corporate Evening Events, Student Evening Events and many other types of Evening Party. 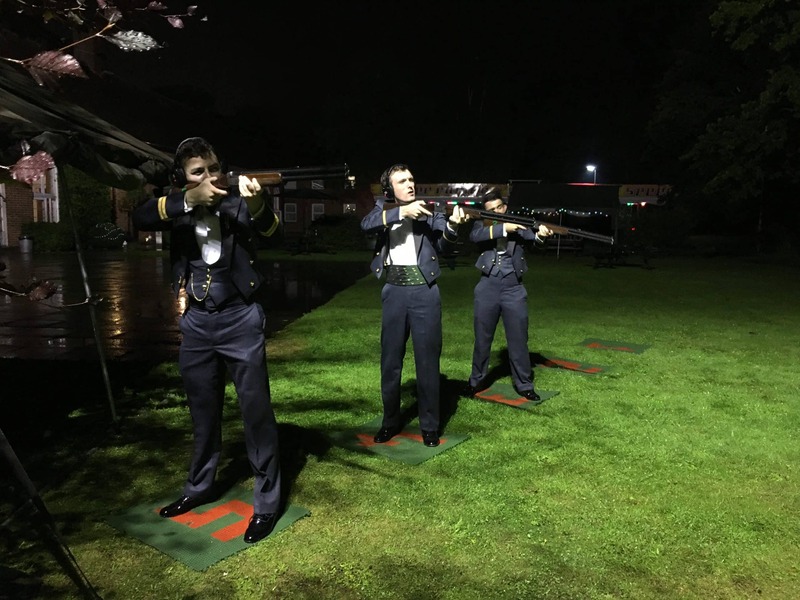 Our Floodlit Laser Clay Pigeon Shooting hire simulates the traditional and conventional sport where venues are restricted by either size or environmental factors. 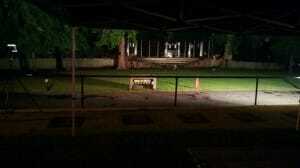 Using our Laser Sport system up to 5 people can shoot at the same reflective clay targets launched from a number of different traps and positions at various speeds in the dark, lit up by our own floodlighting we will bring along, scores are then displayed and decoded on the electronic scoreboard. As the most popular shooting sport in many countries, Laser Sport Laser Clay Shooting provides the opportunity for everyone to enjoy the thrill and excitement of shotgun shooting in perfect safety without any threat to the environment. Thousands of people play just for fun; others treat it as a serious and competitive sport. Laser clay shooting can be enjoyed by people of all ages. Laser Sport comes with several games, some easier than others, at the end of the competition the players who have scored the most points are the winners.